PULSATOM HEALTHCARE designed and manufactured the first indigenous Glucometer (Blood Glucose Meter)in INDIA with technology developed by National Physical Laboratory & Centre for Bio-chemical Technology, Delhi under C.S.I.R. Labs, Department of Science and Technology, Government of India. With an in-house research and design facility, we have built and introduced several models over the last 20 years. ACE Glucometer is the latest Glucometer from our design labs. 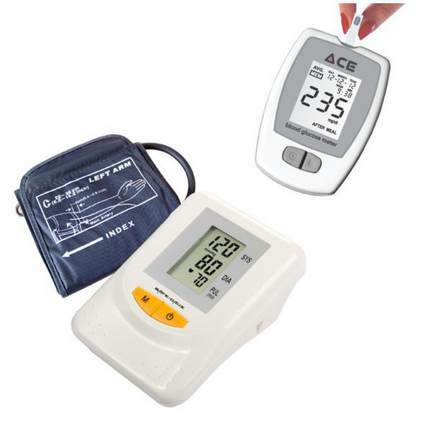 Our range of products includes other point of care products like Safecare Blood Presure Monitors and proffesional products like Fetal Heart Rate Dopplers, ECG monitors, and Vital Sign Monitors. You can buy all our products from our ONLINE STORE store with ease. To ensure you have a pleasant experience shopping, we have a host of safe payment options to suit your convenience. We deliver without any additional cost to any corner of India. You can also buy our products from our Dealers in select cities or through most onlne shopping stores. We offer customised solutions to meet the need of our customers. For specific requirements or other queries, please Contact Us. 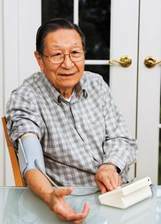 Is your personalised “Diabetes Management Plan” or "Hypertension Control Program" successful? Check if small changes in your life are achieving the desired result or not on your health. 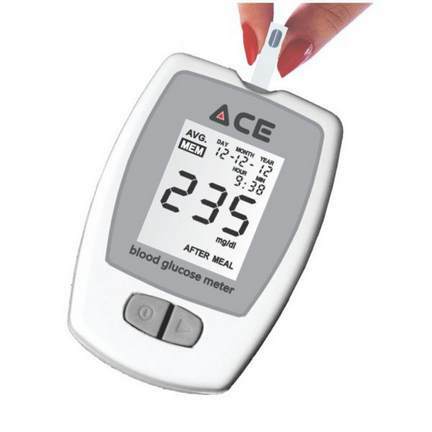 Monitor your blood glucose levels regularly with an ACE Glucometer to ensure that you keep a close watch on your blood glucose levels and monitor your Blood Pressure with a self-use SAFECARE Blood Pressure Monitor. 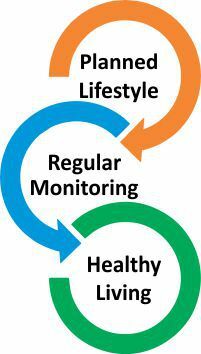 Regular monitoring helps you understand how food, activity levels, stresses and medicines are changing your blood glucose or blood pressure levels. Regular monitoring ensures that you know what is the result of your “Health Management Plan” and will help manage changes.